Home » What is National Roofing Week? What is National Roofing Week? 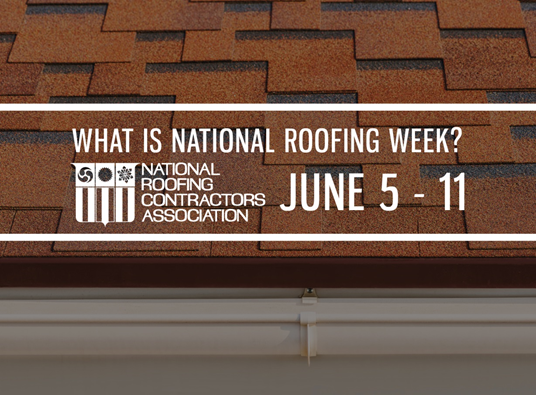 This year, National Roofing Week will be on June 5 to 11. Its objective is to let people across the country know the importance of roofs to every home and business. In addition, this serves as a way to share good news about the industry. National Roofing Week also underscores why hiring professional roofers and making informed decisions is important, especially in maintaining and replacing your roof. Vinylume, one of the few GAF Master Elite™ roofing contractors in CT, takes pride in being part of this celebration. How Does The Industry Celebrate This Event? The National Roofing Contractors Association encourages members to participate in this annual event by engaging in their communities. They take this chance to let the people know about the significant role their roofs and experts in roofing in Greenwich, CT, play. They also celebrate this by hosting an annual Children’s Art Contest. Members and their employees can join by having family members and relatives submit an artwork in the contest sponsored by A.C.T. Metal Deck Supply. In addition, they contribute to charitable organizations in their communities. Members are encouraged to share stories about charitable work, which will be promoted through social media. Why Should Homeowners Leave Roofing Projects to Professionals? Hiring an expert in roofing in Danbury, CT, can ensure a successful roof installation and ensure your peace of mind. At Vinylume, we have years of experience and undergo on-going training in learning the latest roofing technology and installation methods. This helps us make sure we install your roof properly for optimal performance. This will also allow us to help you in maintaining your roof, making a proactive effort in prolonging its service life. Aside from these, we offer quality roofs that can withstand severe weather conditions and strong winds such as GAF’s asphalt shingles. Now is a great time to take measures in keeping your roof in great shape. Count on Vinylume, your expert in roofing, to help you achieve this. Call us today at (866) 244-8029 for more information about our roofing services.